The FLD Continuing Education Series is the Division’s podcast. New episodes will appear periodically. You can find them on SoundCloud and iTunes. The podcast covers the craft of French / English translation and provides interviews with practicing translators and experts. 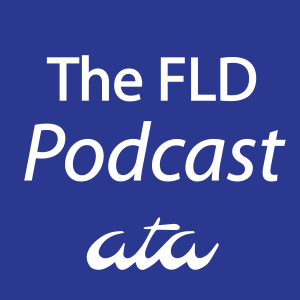 Periodically, the podcast will also include episodes on the State of the Division, from the FLD Administrator and Assistant Administrator. 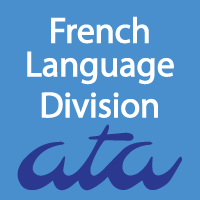 These episodes will provide members with an update on French Language Division activities. If you would like to suggest a topic or speaker, please email us at divisionfld@atanet.org. Welcome to the 13th episode of the French Language Division’s Continuing Education Series. In today’s episode, Amanda Williams joins Angela Benoit to discuss the ins and outs of financial terminology. Amanda N. Williams is an ATA-certified French to English translator specialized in business, international trade and financial translation. She is also a popular speaker at national and regional translation conferences on topics ranging from business skills development to international trade. Amanda has a former career working for one of the top 100 largest ocean importers in the United States. She held various roles, including sales, operations and trade compliance manager, where she was responsible for managing a US customs audit as well as creating, implementing and maintaining the company’s import compliance program. 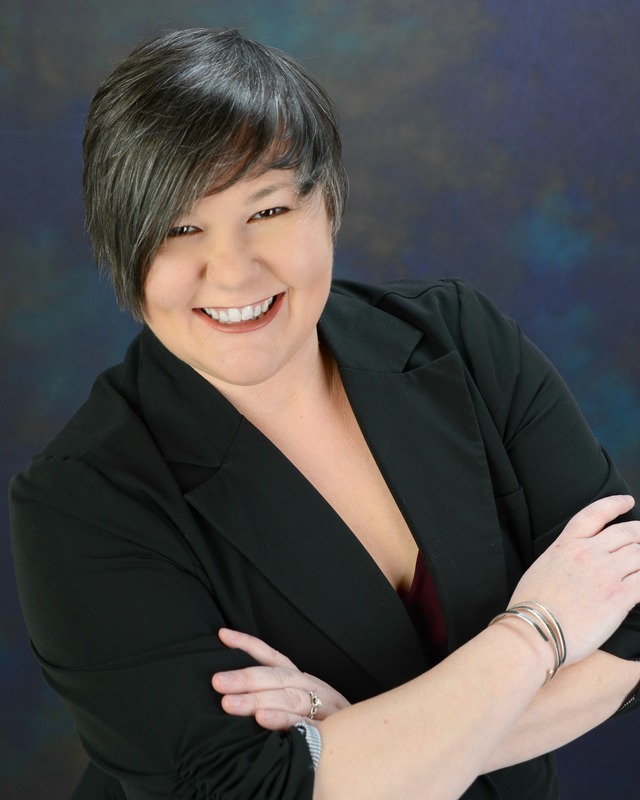 Amanda is a member of the American Translators Association (ATA) and currently serves as assistant administrator for the association’s Literary Division. She also served six years on the Board of Directors of the Atlanta Association of Interpreters and Translators (the Georgia Chapter of the ATA). You can find her on Twitter as the Adorkable Translator (@Adorkable_Trans) or on her website at www.mirrorimagetranslations.com. SOUNDCLOUD: You may access Episode 13 and other podcast episodes on SoundCloud here. On SoundCloud, you can listen to the episode in your browser or download a copy of this episode directly to your computer. Welcome to the 12th episode of the French Language Division’s Continuing Education Series. In today’s episode, Marie-Christine Gingras joins Angela Benoit to discuss a list of mots délaissés: words that translators don’t always think to use in their work. Marie-Christine holds a B.A. in English and Intercultural Studies (Professional Writing, Literature and Translation) from the University of Sherbrooke and has been a language professional since 2008. An OTTIAQ-certified translator, she works from English into French and from French into English. 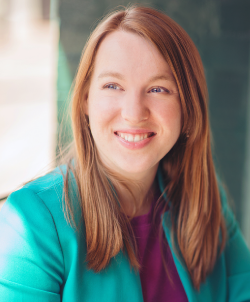 She has translated a wide variety of materials—everything from content marketing for an industrial equipment manufacturer to scientific reports on bison and rabbit farms—but specializes in corporate communications. Marie-Christine constantly challenges herself and her fellow translators to do away with translationese and mimic actual writing in the target language. 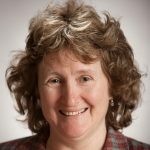 She teaches a class for translator training school Magistrad (Yes You Can: Surviving Poorly Written English Source Texts), posts translation advice on Twitter (@TraductionsMCG), and was an instructor at the 2017 Translate in Quebec City conference. She lives and works in beautiful Quebec City. SOUNDCLOUD: You may access Episode 12 and other podcast episodes on SoundCloud here. On SoundCloud, you can listen to the episode in your browser or download a copy of this episode directly to your computer. ITUNES: This episode and the entire podcast series are also available on iTunes. On iTunes, you can subscribe or stream the podcast. Welcome to the 11th episode of the French Language Division’s Continuing Education Series. 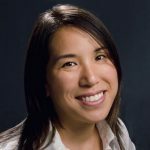 In today’s episode, long-time host Angela Benoit welcomes Andie Ho as co-host for the first ever “Translations that Pop” episode. Listen to brilliant translations by our members and friends and hear Angela and Andie’s thoughts on each piece of text. SOUNDCLOUD: You may access Episode 11 and other podcast episodes on SoundCloud here. On SoundCloud, you can listen to the episode in your browser or download a copy of this episode directly to your computer. ITUNES: You may listen to all of the episodes online or subscribe to the podcast on iTunes. Have an idea for a new podcast episode that addresses the craft of English > French and French > English translation? Contact us! 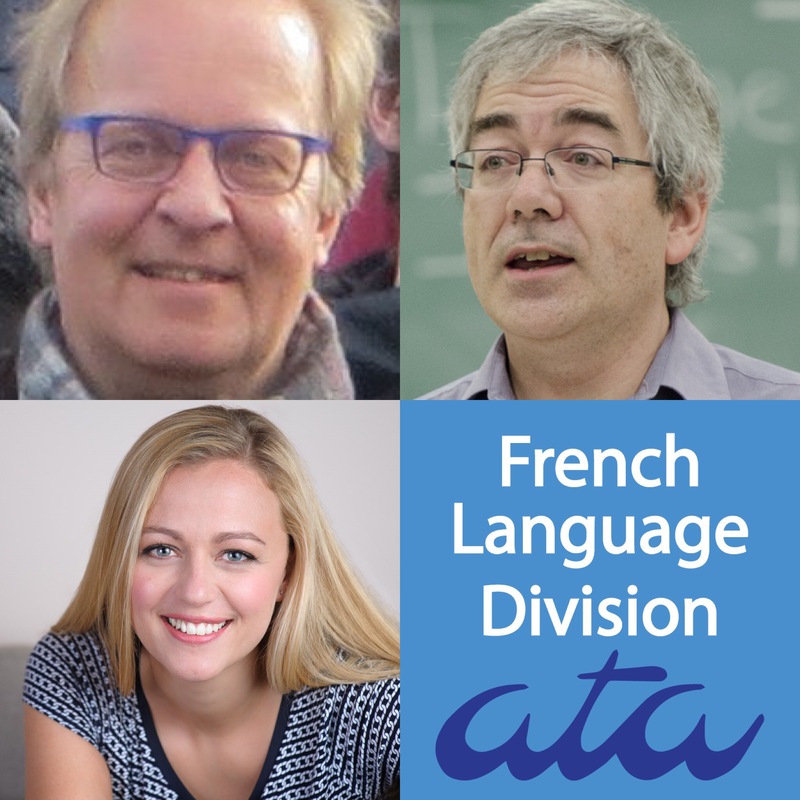 W elcome to episode 8 of the French Language Division’s Continuing Education Series podcast. The main focus of this podcast is the craft of translation (English > French and French > English). 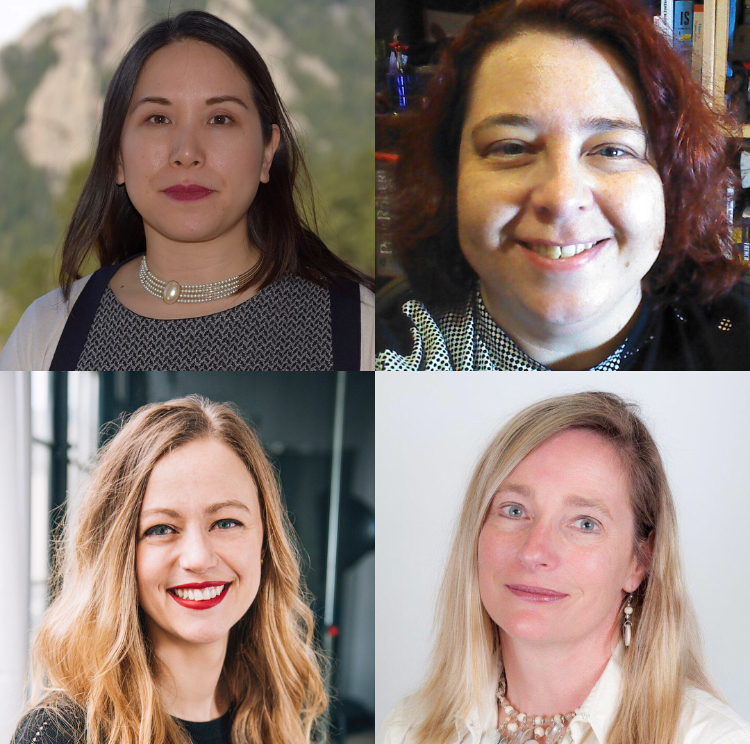 In this episode, Carolyn Yohn joins Angela Benoit to talk about a book she translated: Comments on the North American Travels of La Rochefoucauld-Liancourt: 1794 – 1798. See a copy of the book cover at left. 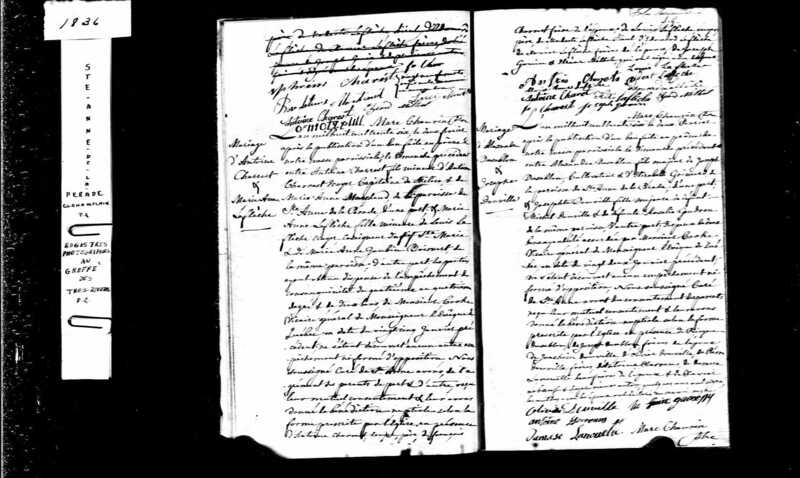 Find out who Liancourt was and learn about his role in documenting early American history. Listen to Carolyn talk about fascinating translation challenges and how she journeyed through a work of historical, political and economic significance. 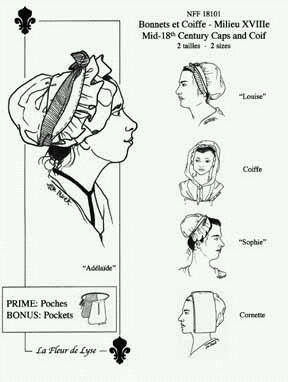 Listen to our episode to find out more about this piece of clothing. Help get Carolyn’s English translation of this book published! The publisher, Commonwealth Books of Virginia, is looking for an academic, a professor, with a focus on historians, who as ties to a solid university and who has the time to write a foreword for Carolyn’s translation. At time of writing, the foreword is the last missing piece holding up the translation’s publication. 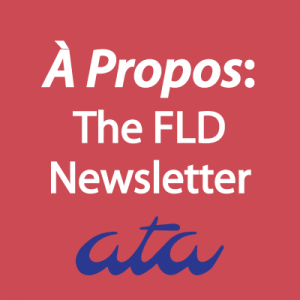 If you know someone who might be interested and could make introductions, please contact the FLD at divisionFLD@atanet.org or Carolyn at carolyn@untangledtranslations.com. Carolyn Yohn translates French and Hungarian legal and academic texts into American English under the name Untangled Translations. In 2015, the Consulate General of France in San Francisco added her to their list of translators officially approved to translate credentials and personal documents. She is a regional ambassador for the Northern California Translators Association and was a featured speaker for the American Translators Association. 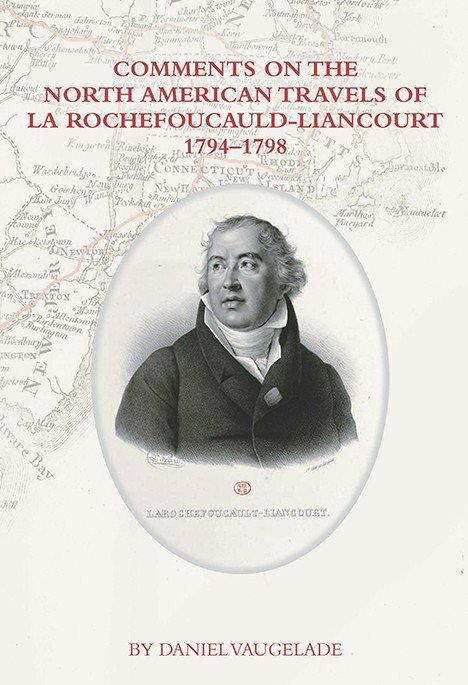 Her first book-length translation — Comments on the North American Travels of La Rochefoucauld-Liancourt, 1794–1798 — is forthcoming from Commonwealth Books of Virgina. When she’s not clacking away at the keyboard, you can find Carolyn hiking, swimming, and painting (watercolors). Find her on Twitter, LinkedIn, and Facebook to learn more! 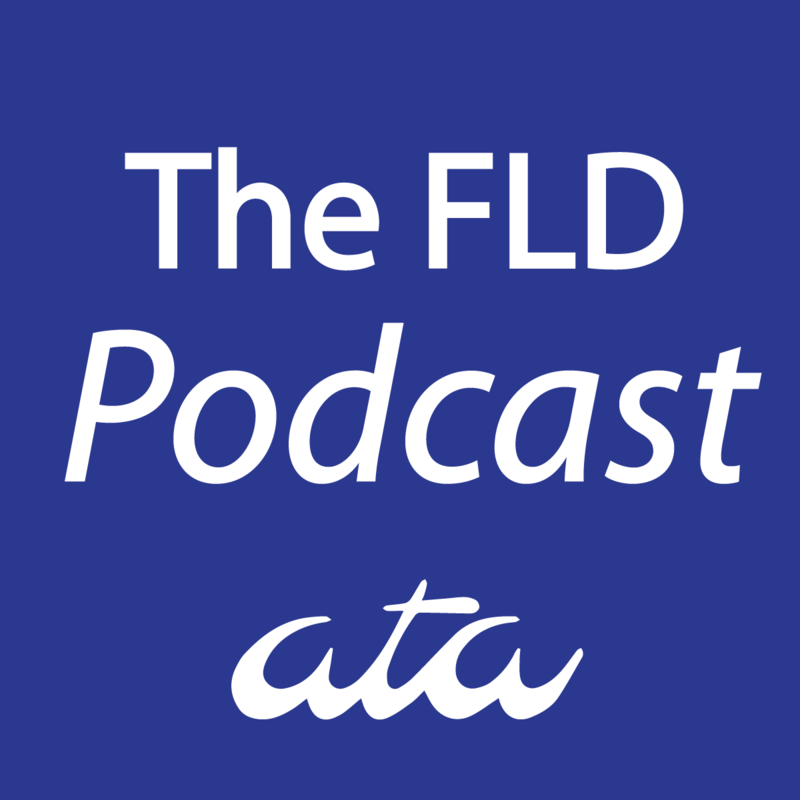 Welcome to episode 6 of the French Language Division’s Continuing Education Series podcast. The main focus of this podcast is the craft of translation (English > French and French > English). In this episode, Dominique Jonkers of Jonkers & Partners and François Lavallée of Edgar and Magistrad join host Angela Benoit for the series’ very first translation slam! ITUNES: You may listen to all of the episodes online or subscribe to the podcast on iTunes. The text dueled over (uh, translated) by Dominique Jonkers and François Lavallée was Nauru, a Sinking Feeling, an article from the New York Times, available here. The source text was in English and the translation was into French. Listeners who are looking for a challenge are invited to produce their own translation before listening to the podcast! 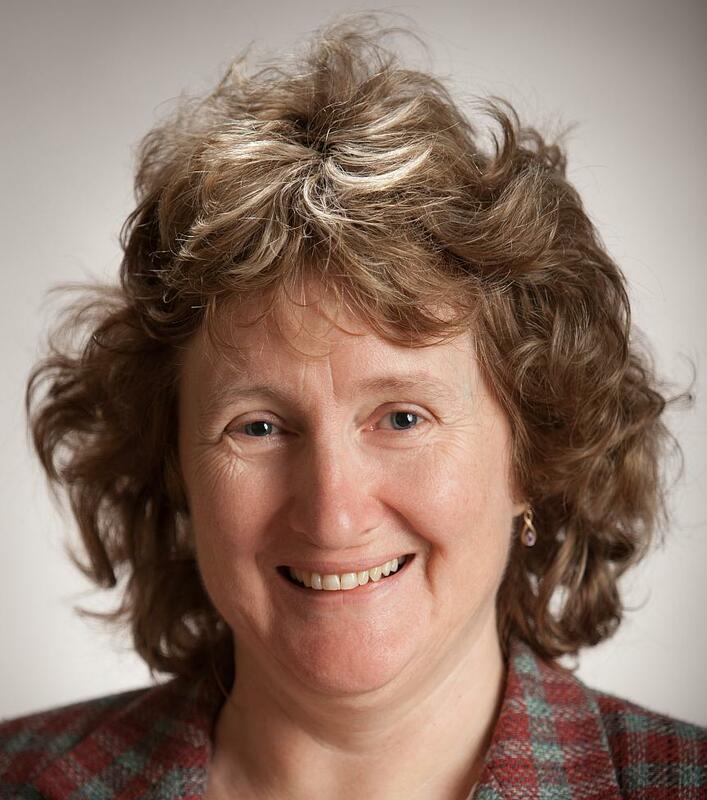 A regular guest speaker on economic and financial translation at workshops and conferences, Dominique firmly believes that the French poet Boileau had translators in mind when he said that clear understanding leads to clear writing. In 2000 he created an online resource for freelance financial translators (http://finance.groups.yahoo.com/group/financialtranslators/) that has done much to lift the level of professionalism in the field. Dominique is a regular presenter at the specialized conferences organized alternately by SFT and ASTTI (Université d’été de la traduction financière). In 2011 he won the Société française des traducteurs’ Pierre-François Caillé Award for his Dutch to French translation of author and serial entrepreneur Leen Zevenbergen’s En morgen laat ik mijn baard staan, published in French as Brûle ta cravate et danse. 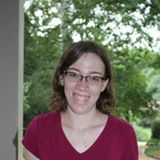 A member of both CBTI and SFT, Dominique also served as SFT treasurer and was a member of the SFT executive committee for several years. FRANÇOIS LAVALLÉE, C. Tr., has been exploring the fascinating world of words and language for over 30 years as a translator, reviser, trainer, author, lexicographer…and as a reader. After freelancing for 20 years, he was recruited in 2009 by Edgar, a Québec translation firm. He is now Edgar’s vice-president of training and quality. The president of Magistrad, a professional development school for translators that he founded in 2006, François has also been teaching general, commercial and legal translation as well as revision at Laval University in Québec, Canada. He has acted as a trainer and speaker at various ATA conferences and at the “Translate in…” events since their inception (2009). His practical translation guide, Le traducteur averti, has sold over 2,000 copies. He also penned two collections of short stories (Le tout est de ne pas le dire, 2001; Dieu, c’est par où?, 2006), a novel (L’homme qui fuyait, 2013) and a collection of fables in the style of La Fontaine (Quand la fontaine coule dans la vallée, 2007). His books can be found on the bookseller Renaud-Bray’s website (www.renaud-bray.com), among other places. Since 2009, he has been distilling his “reviser’s tips” on Twitter (@Magistrad_Plus), several hundred of which were compiled, along with some of Grant Hamilton’s, in an anthology: Tweets et gazouillis pour des traductions qui chantent (Linguatech éditeur, 2012). Have an idea for a new podcast episode that addresses the craft of English > French and French > English translation? Contact us! 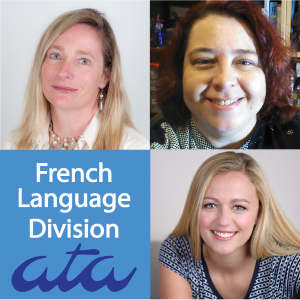 Welcome to the fifth episode of the French Language Division’s Continuing Education Series podcast. The main focus of this podcast is the craft of translation (English > French and French > English). 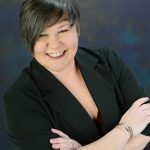 In episode 5, podcast host, Angela Benoit welcomes genealogy translator Bryna O’Sullivan (www.charteroakgenealogy.com) to talk about genealogy translation, the intersection between genealogy and history and terminology. SOUNDCLOUD: You may access Episode 5 and other podcast episodes on SoundCloud here. On SoundCloud, you can listen to the episode in your browser or download a copy of this episode directly to your computer.